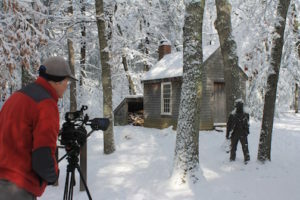 When Richard Smith moved to West Virginia at the end of 2017, he left behind nearly a two-decade legacy of portraying Henry David Thoreau in Concord, especially at Walden Pond, where he greeted visitors as Henry in the Thoreau house replica on a regular basis. Last summer while Smith was contemplating his move, another Thoreauvian, Brent Ranalli, was exploring the idea of taking his efforts at historical interpretation to the next level. Ranalli did not know there would soon be an opening for some one to portray Henry David Thoreau in June 2018. Brent Ranalli as Henry David Thoreau at Thoreau Farm. Ranalli’s path first intersected with the Thoreau crowd when he participated in a panel presentation at The Thoreau Society Annual Gathering in 2009. The subject of the session was the publication of Environment: An Interdisciplinary Anthology, a textbook which Brent helped to edit. He quickly felt a camaraderie with the people involved and attending the conference. He has been a regular presenter at each Gathering ever since. Ranalli is interested in Thoreau’s fascination with Native Americans. He admires how Thoreau was able to take on a walking style that many of his friends equated with that of an American Indian. Ranalli has written and spoken about Thoreau’s gait, as reported by the people who were close to Henry. His research made him wonder: Why not study Thoreau’s gait by donning Henry’s style of clothing and portraying Thoreau himself? Ranalli began to gather parts of the wardrobe and the props he would need for this venture. 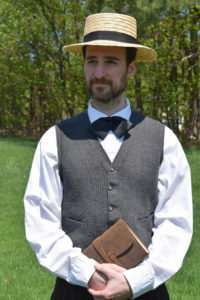 Meanwhile, Visitor Services Supervisor for Walden Pond State Reservation, Jennifer Ingram was responsible for finding a new historic interpreter who could portray Henry and fill the void Smith had left. Over the winter, Ingram sent queries to members of the local historical collaborative in Concord. While she pursued some leads, none of the applicants seemed to fit the position. 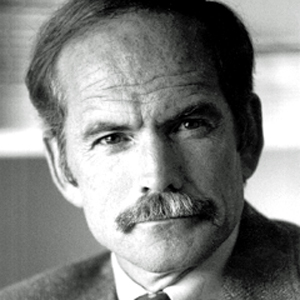 Ranalli eventually heard about this new opening through The Thoreau Society, where he is a member, and contacted Ingram. She was immediately impressed. He certainly had the background and the interest; was in the right age range; and had the right build to portray Thoreau. Ingram had a final test for Ranalli, however. The two met at the Pond office one day, and went to sit in the replica for an hour. Ingram felt that this experience would be critical for the prospective Thoreau. It would offer the reality of the interpretation. If the potential Henry didn’t feel comfortable being in this space, or if he felt he had to leave after a few minutes, then that would be that. He had not only passed Ingram’s test, but one of his own. And, he interacted well with the public who stopped by the house that day to meet Henry. This month, Ranalli did his first Henry gig at an Acton elementary school. (He was careful not to talk to any classes that included his own sons as students.) He reports that the appearance went well. He was stymied only once. This was when someone asked what kind of car Thoreau would drive, if he were alive today. (I suggested that Thoreau would be likely to take public transportation.) Yet, Ranalli feels as though he has already gained a deeper understanding of the author-naturalist by stepping into his shoes. Brent Ranalli will portray Henry Thoreau at Walden Pond State Reservation on Sunday, May 27, 2018, beginning at 1 p.m. Be sure to stop by and chat with him as he “is” Henry at the house replica. Just don’t ask him about cars! 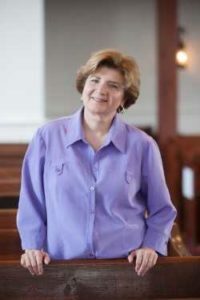 Corinne Smith is the author of Henry David Thoreau for Kids among other books; a frequent contributor to The Roost; and is a tour guide at Thoreau Farm.